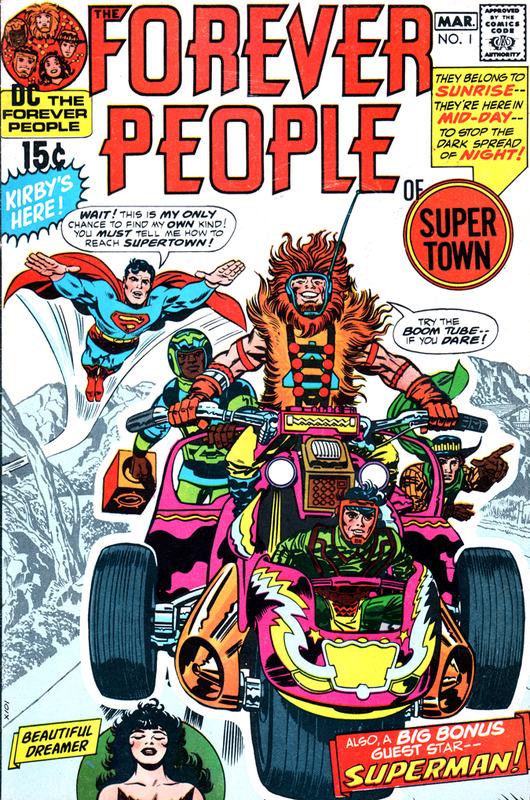 In honor of Jack Kirby’s birthday, here’s an essay I first posted here back in 2010. Enjoy! This is a revised and updated version of a post from 2009. Enjoy! One of the questions writers often get—from both interviewers and fans—is “Of all the things you’ve worked on, what’s your favorite?” Well, if you’ve only been a professional writer for a few years, that’s probably an easy question to answer. If you’ve been doing it for more than thirty five years, as I have, it’s a little harder to winnow things down. Back in the mid-1980’s I had an idea for a story called “Silver Shoes.” It was about a little girl, living with her abusive father, who’s befriended by an old woman named Dorothy. Not just any Dorothy: this old lady claims to be Dorothy Gale, from L. Frank Baum’s Wizard of Oz. After Dorothy passes away, the girl finds a gift the old woman has left behind for her: a pair of silver shoes (that’s what they were in Baum’s book. MGM magically transformed them into technicolor-friendly ruby slippers for the 1939 film) that the girl uses to escape her father and live happily ever after in Oz. It was, I thought, a wonderful idea, but I never did much with it. I just filed the story away and forgot about it. Then, after only three issues of Abadazad—all of them very well-received—had seen print, our publisher crashed and burned: CrossGen went bankrupt. I don’t need to go into all the depressing details here but we were eventually rescued from oblivion by Brenda Bowen, who was then the vice-president and editor-in-chief of Hyperion Books For Children. We signed for a six book series (combining sequential comics with illustrated prose)—with the aim of doing six more beyond that—but, again, by the time the first three books came out we were dead in the water. 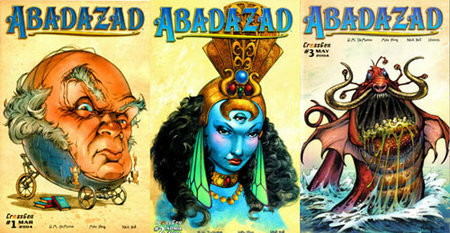 The reasons were complex—it wasn’t just about sales—but the bottom line was that the Abadazad series was cancelled. Again. It was the biggest heartbreak of my career—I think I’m still in mourning—but I still hold tight to the belief that, some day, some way, Abadazad will be back. Magical thinking? Perhaps. But it’s a magical story. I can’t talk about ‘Zad without mentioning another all-ages project: The Stardust Kid, which reunited the entire Abadazad creative team, features some of the finest work of Mike Ploog’s amazing career. (He may have actually topped his work on Abadazad.) 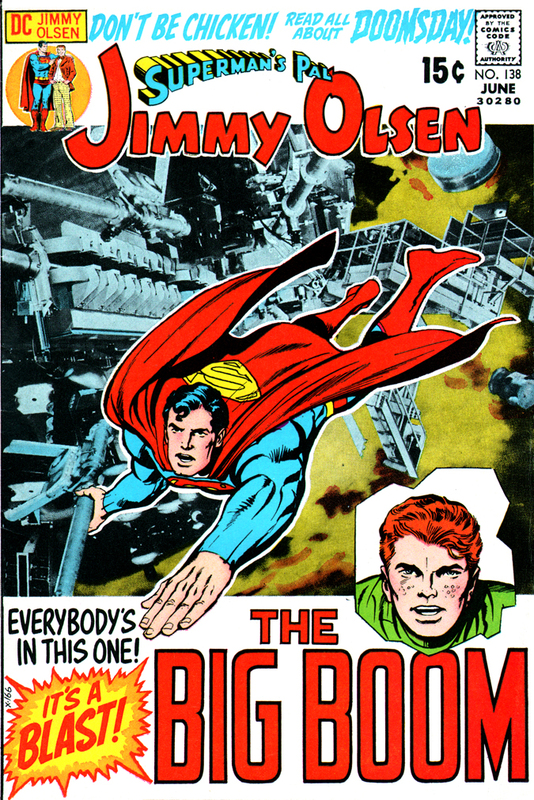 I created the story when my son was four years old, sold it to DC in the 80’s, bought it back, and, by the time it finally saw print, Cody was one of the book’s editors. (Yes, some tales take a very long time to find their way into the world.) The final version evolved considerably from my original conception—thanks, in no small part, to Ploog’s contributions—and it’s a fantasy-adventure that I remain incredibly proud of. 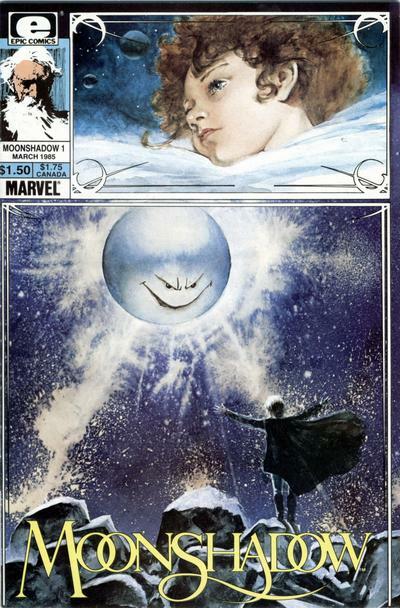 Nearly ten years after the original Moonshadow series saw print, Muth and I reunited for a one-shot graphic novel called Farewell, Moonshadow that I think is, in some ways, even better than the original run. If I was forced to pick a single favorite on this list, it would probably be Brooklyn Dreams. 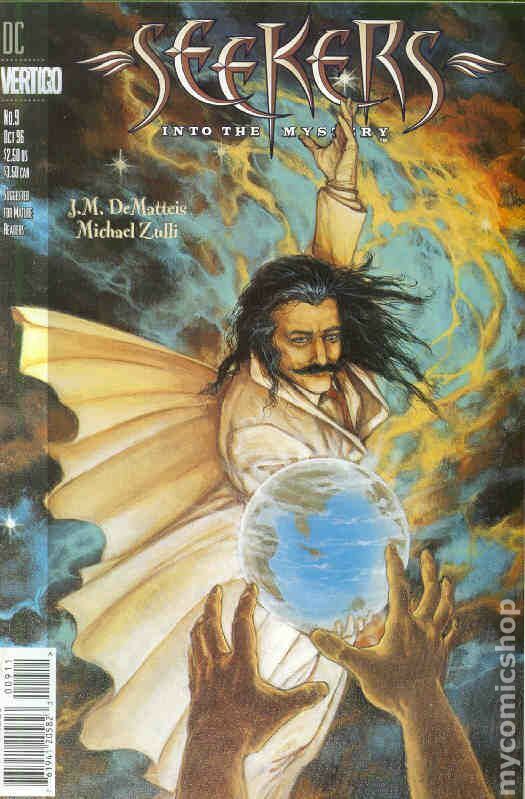 In an odd way it’s the same story as the one I told in Moonshadow, only it’s not presented as a fairy tale set in the far reaches of space, it’s a (very) thinly-disguised autobiography that takes place on the streets of Brooklyn. I remember working on the script and feeling scared to death because BD was the single most personal piece I’d ever attempted. The main character’s name may have been different, but it was my life I was writing about, in shameless, intimate detail. I’ve learned, over the years, that being terrified is usually a sign that I’m on to something good. It was certainly true in this case. Chemistry between a writer and artist can’t be created. It’s either there or it’s not. I’ve worked on projects where the script was strong, the art was strong, but that indefinable magic between writer and illustrator simply wasn’t there and the story just died on the page. Not so with Glenn Barr. Our collaboration was instant magic—and, for that, I am forever grateful. Dr. Fate is a DC Comics character who’s been around since the l940’s. In l987, I revamped the character—with considerable help from the frighteningly-creative Keith Giffen—for a mini-series and then, some months later, continued the story in an ongoing series, wonderfully illustrated, with both humor and humanity, by Shawn McManus. I’d hazard a guess that most comics fans have never read our Dr. Fate run and that many who did were baffled by it. I understand their confusion: Our Fate series wove together mysticism, sit-com silliness, super-hero action, romance, Eastern philosophy, infantile toilet jokes and Serious Musings On The Nature Of Existence. But that’s exactly why I loved working on it. I think the best mainstream super-hero story I ever wrote was "Going Sane," which originally ran in four issues of DC’s Legends of the Dark Knight. Here’s the premise: The Joker kills Batman—at least he believes he does—and, with the primary reason for his existence eliminated, the villain’s mind snaps. 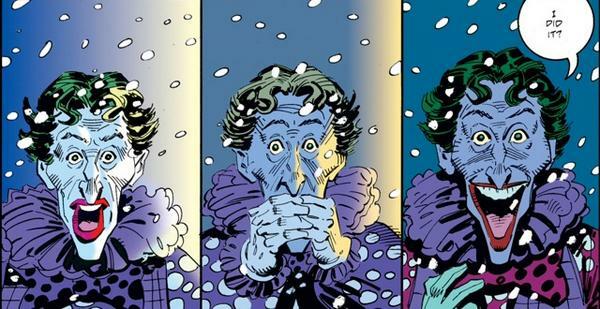 Of course the Joker is already insane, so when he snaps...he goes sane. Joe Kerr soon creates a new life for himself, complete with an office job and a loving fiancé. Batman, meanwhile, finds himself recuperating in a small town, far away from the madness of Gotham—and has to reassess his life and his identity. When the two finally come back together at the story’s end, well...if you’re as sentimental as I am, you just might find yourself shedding a tear for the Joker. I’ve written more Spider-Man stories than I’d care to count. No matter how many times I walk away from the character, I keep coming back, because he’s real to me. I don’t think there’s a character, in any super-hero universe, more psychologically nuanced, emotionally-compelling and wonderfully-neurotic than Peter Parker. To this day I don’t think of Peter as a fictional character: I think of him as an old friend. As you can see, I cheated here. I didn’t select one story, I selected six. (I could easily have added more: Spider-Man: the Lost Years comes immediately to mind.) 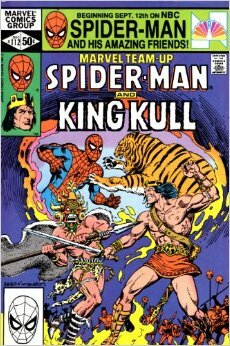 The multi-part story collected as Kraven's Last Hunt—illustrated by Mike Zeck, at the top of his form—was the first super-hero story I wrote that allowed me to bring the lessons I’d learned writing Moonshadow over to the Marvel/DC mainstream. (I wrote a lengthy, and, I hope, interesting introduction for the collected edition, detailing the story’s genesis.) 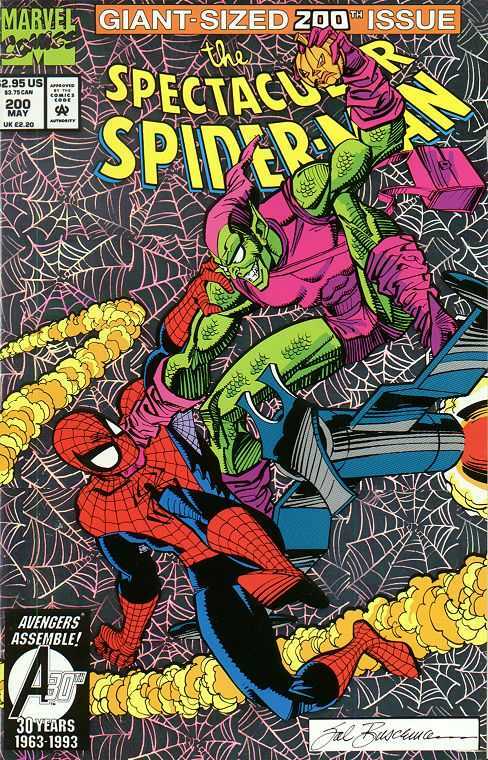 “Best of Enemies” was the culmination of a two year storyline (and a two-year collaboration with one of my personal comic book heroes, Sal Buscema) exploring the relationship between Peter Parker and Harry Osborn—and it’s my single favorite Spidey tale. 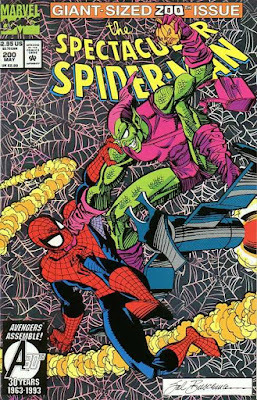 “The Gift”—illustrated by one of the all-time great Spider-artists, Mark Bagley—featured the death of Aunt May (don’t worry, she got better) and its publication resulted in one of the highlights of my career: a phone call from comics legend John Romita, Sr. telling me that the story had moved him to tears. “The Kiss” topped that, because I actually got to collaborate with Romita, Sr—on a short, sweet story about the last night Peter Parker and Gwen Stacy spent together. “Spider Dreams” was my chance to say thank you to Peter Parker for all he’s given me over the years, both as a reader and a writer, as well as an opportunity to pay tribute to his web-headed alter ego and the men who created him. 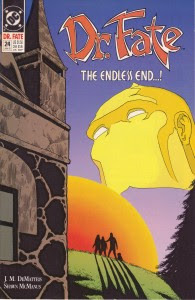 In the 90’s I did a number of projects for DC’S Vertigo line, but I can’t think of one that means more to me than Seekers Into The Mystery. 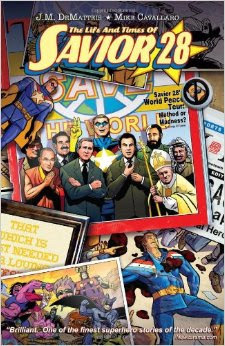 This was another case where the comics industry—specifically, editors Karen Berger and Shelly Bond—gave me a chance to write exactly what I wanted, in exactly the way I wanted. No constraints, no directives. And I got to do it in collaboration with the cream of the Vertigo crop: Glenn Barr, Jon J Muth, Sandman’s Michael Zulli and Scary Godmother’s Jill Thompson. The series—centered on a soul-sick, failed screenwriter named Lucas Hart—touched on everything from the toxic effects of sexual abuse to the omnijective reality of UFOs; from the pain of divorce to the descent of the God-Man. If I was listing these projects in order of preference, Seekers would be very close to the top. 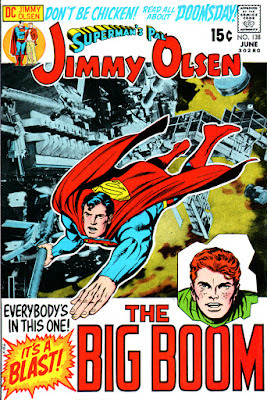 Around the same time, I was renegotiating my contract with Marvel and I asked then-editor-in-chief Jim Shooter if I could do an Oscar Greenberg graphic novel. He said yes (I’m sure he was just being nice. 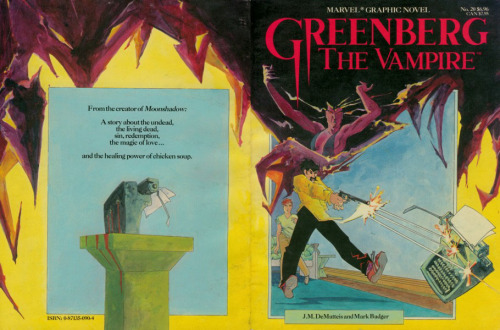 He couldn’t have possibly believed that a story that was a cross between Portnoy’s Complaint and Dracula—I didn’t come up with that description, Dwayne McDuffie did—would sell). I called up a young artist named Mark Badger (at the time, we were working together on a mini-series called The Gargoyle—which just missed making this list) and Mark happily signed on. Badger went on to become one of my favorite collaborators ever. He’s a unique talent, a brilliant storyteller and his work on Greenberg was superb. Greenberg allowed me to get in my little boat and push out into uncharted waters. To try new things, explore new voices. I’m delighted that a new edition, collecting both the original black and white story and the entire graphic novel, will be out in the fall. Mike C also drew “That Which Is Most Needed,” a short story that appeared in the first volume of the Occupy Comics anthology. Well, it’s less a story than an illustrated essay: an opportunity to talk directly about the value of, and need for, compassion; to bring to life Buddha’s wonderful words: “That which is most needed is a loving heart.” Cavallaro's art was everything I expected and far more: he brought heart and hope to the page in equal measure. This is probably the most obscure story on this list, but if you enjoy my work, I think you’ll find it worth seeking out. 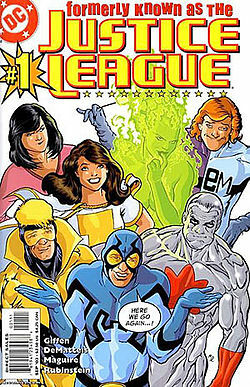 Okay, so this one’s another cheat: I’m collapsing my entire collaboration with Keith Giffen into one, but it really feels as if all our work together—from the 80’s Justice League to Boom!’s Hero Squared and our current work on Justice League 3001 (with the hugely gifted Howard Porter)—is one piece. And that piece exists in its own little universe, far, far away from everything else I’ve done. I’ve said it before but it bears repeating: Keith Giffen is as generous and gifted (well, gifted is too small a word. Someone once called Keith the Jack Kirby of my generation and I couldn’t agree more) a collaborator as I’ve ever worked with. If he called me up tomorrow and asked me to co-write a Millie the Model revival, I’d say yes without hesitation. When I work with Giffen, it’s not about the particular project, it’s about the collaboration itself—and the tremendous fun we have together. We’ve been going at this, on and off, for more than twenty-five years. I don’t see any reason to stop now. 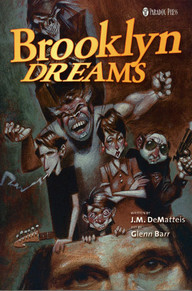 There are other projects that could have easily been on this list—Blood: a tale with Kent Williams, my truncated Man Thing run with Liam Sharp, Mercy: Shake the World with Paul Johnson, The Last One with Dan Sweetman, Doctor Strange: Into Shamballa with Dan Green, The Adventures of Augusta Wind with Vassilis Gogtzilas: so many more. But if I kept adding titles this would be the longest post in Creation Point history.